The Mind Is Filled With Logic, But Lacks Wisdom. The mind can never know truth. Beliefs are merely notions about truth. Beliefs are mind-made, man-made, not truth. Truth cannot be found through the mind, through thinking. A mind that divides, categorizes, and dissects is self-centered, delusional—the egoic state of consciousness. Transcend the mind to become one with the source, life force, consciousness—pure, absolute awareness. As long as one separates themselves from others, mentally and physically, they will continue to suffer and live a miserable life. Let go of all notions and beliefs about this or that, let go of opinions, judgment, let go of thoughts—and the wall of separation suddenly vanishes, and all that is left is pure joy and peace. To see the remaining videos, please go to Truth Is Within YouTube Channel. 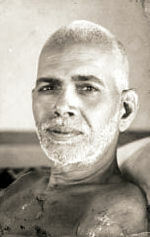 Experience how the profound teachings of Ramana Maharshi can be easily applied in our daily life. This is a deeply inspiring video in which the sage Ramana speaks directly to your heart. No matter what you think about meditation, always know that your mind will not bring you peace. The only way to feel peace inside (the natural state of your being) is to relax the mind and this is done through meditation. You may say, “I don’t have enough time!” Well, if you don’t have enough time then you really do not want to be at peace. Just a few minutes a day is all it takes and as time goes by you will start to spend more and more time meditating. When you have a hectic schedule and you find yourself going from Point A to Point B from the time that you wake-up to the time that you go to sleep and sleep seems to be the only time that you are not constantly going, what you need to do is to take just a few minutes out of your day to meditate. When you think about mediation, you think about sitting in a certain position with your legs crossed—that you have to do it a certain way, in a certain position, and in a certain place. If you want to do that, that’s fine. 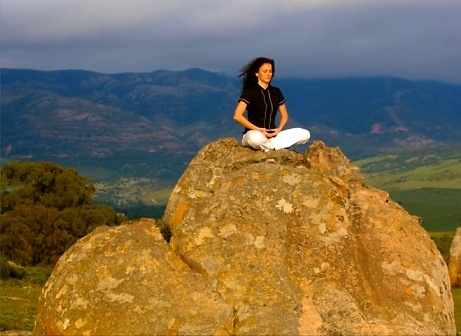 There are a variety of meditation techniques that you can follow, but you have the option to do it in a non-traditional manner, which enables you to do it anywhere and especially if you are on a fast-paced, busy schedule every day that leaves little room for meditation, so being able to meditate anywhere is the key, which can be done using the most basic and important part of meditation, which is to close your eyes, relax your body, and focus on your breath, slowly breathing in and breathing out. This enables you to clear your thoughts and come to a peaceful state. Feel your lungs slowly expand as you breathe in and slowly retract as you breathe out. You can also imagine stillness, space, emptiness (such as a black and vast space of emptiness) while you are breathing in and breathing out. Q: What is the nature of the mind? cause, or the noumenon of which it is a manifestation? independently of the ego. The ego therefore exhibits thought activity. merely thoughts . Of all thoughts the thought 'I' is the root. Therefore the mind is only the thought 'I'. alive there is grief. When 'I' ceases to exist there is no grief. dive into the source from where the 'I' -thought rises. texts describe the ego as having a threefold form. Q: But it may prove inadequate for realising jnana. then you are still playing on the monkey bars of the mind.